John 14:5-14 is such an amazing, powerful, gut wrenching passage. Jesus’ tone here is unbelievable, when we remember what is coming for Him in a few hours. Thomas wants to know the way to God, what does he need to do? Nothing. It’s not WHAT we do, it’s WHO we know. Okay, okay, I know, this has been used for years in churches, and correctly so. It’s a foundational piece of fundamental, evangelical Christianity. BUT, really think about it in terms of this passage. It’s about more than works vs. faith salvation that attains heaven. It’s about life itself. If we know Jesus, that’s all there is. Not if we know about Jesus, but as we know Jesus, in a living, beautiful, developing relationship, we’ve found it. So much freedom! So much hope! So much fun! 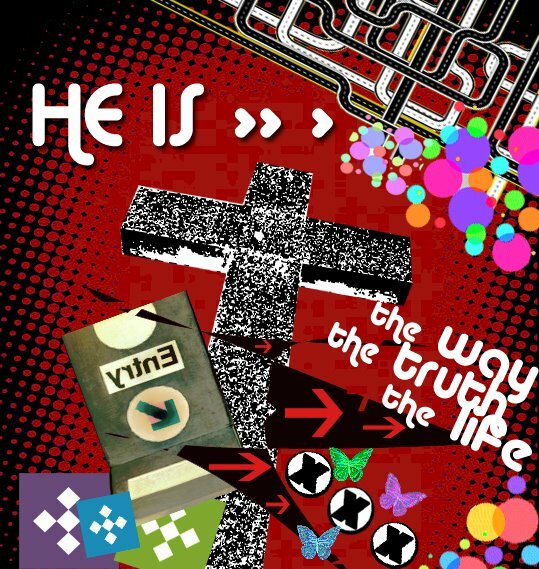 A friendship with Jesus, a relationship that has Him as the center and king is so life giving, so joyful, so fun! And it’s straightforward and simple. He is all we need. I can’t put into words the feelings and range of emotions this raises in me. I’m so aware that if life is about how well I can perform, if it is about me chasing God and proving to Him my worth, then it’s over. I am the most hopeless of hopeless on that level. I fail, fall, and run too many times each day to EVER impress a wonderful, faithful King like Him. But no, He comes for me, throws His strong, deep arms around me, and tells me He is enough. There is nothing more to look for. I can be done, I can rest, I can simply learn to know Him better. THAT is easy. He is a joy to know, and great and amazing friend everyday. I love Him more and more as the seconds pass. You know, I’m trying to convince you of this with my words. That’s pointless. Set aside some time today, open to John14:5-14 and read. Picture Jesus, His last day with His friends, preparing to go through hell and back for them. See them sit around in an intimate dinner meal, and Him speaking these words to them, and you. Read them over and then re-read them four or five times. Meditate on them today. Let them soak in. Talk to Jesus about what He meant, what He means. Spend some time with your Lord. It’s worth it.